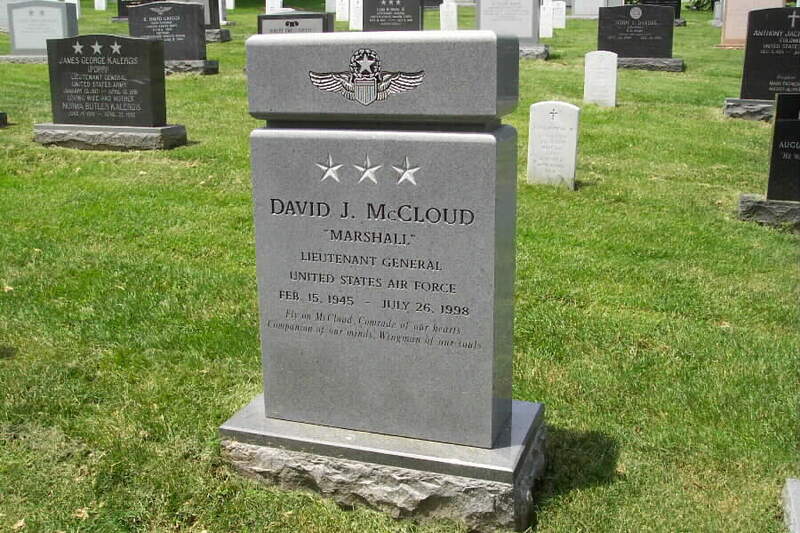 ANCHORAGE, July 26, 1998—A former official with the Joint Chiefs of Staff who last year became the commander of all military forces in Alaska was killed today in a private plane crash. A passenger from Alexandria, Virginia, also was killed. Air Force Lieutenant General David J. McCloud was flying his YAK-54, a single-engine, aerobatic plane, when it crashed in a paratrooper drop zone at Fort Richardson, just east of Anchorage. The passenger was identified as Lewis Cathrow of Alexandria. The cause of the crash was not known. The National Transportation Safety Board is investigating. McCloud had purchased the plane he was flying about four months ago, said Colonel Tim Brady, the vice commander of the 11th Air Force, a component of the Alaskan Command. Brady said McCloud had flown many hours in a similar model, the YAK-52. 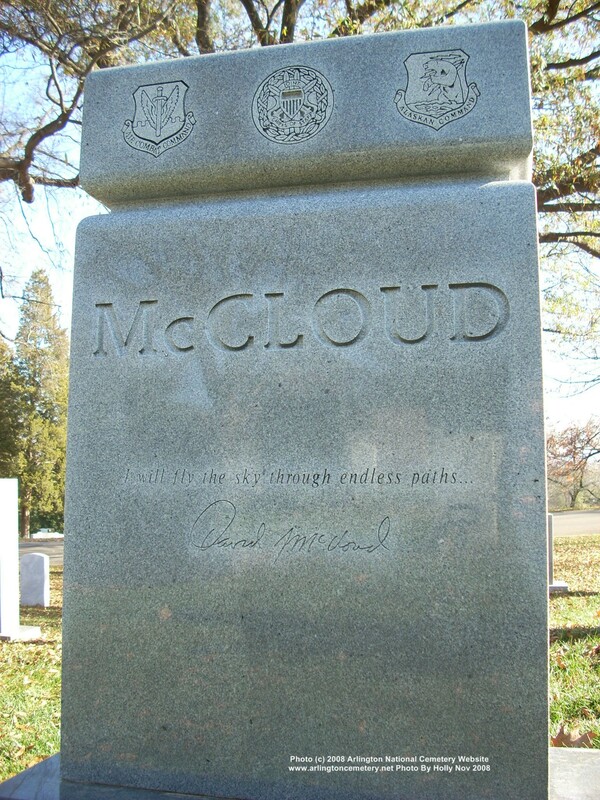 McCloud and his passenger took off from Elmendorf Air Force Base, where McCloud kept the plane. Brady said McCloud was a skilled pilot. Air Force records indicate he had flown many of the aircraft types in the military's inventory, including the B1-B bomber and most of the fighter models used by the Air Force during the past three decades. "He just loved to fly," Brady said. "If it could fly, he wanted to be part of it." As commander of the Alaskan command, McCloud was responsible for more than 21,000 active duty and reserve members of the Army, Air Force, Navy and Alaska National Guard. 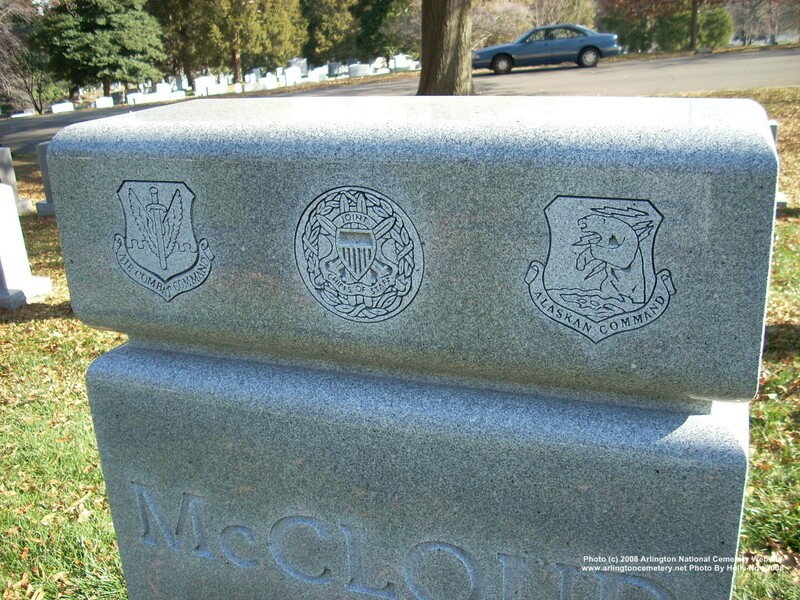 McCloud took the post in December, succeeding Lt. Gen. Patrick K. Gamble, who took a job at Air Force Headquarters in Washington. Before coming to Alaska, McCloud worked for the Joint Chiefs of Staff as director for force structure, resources and assessment. 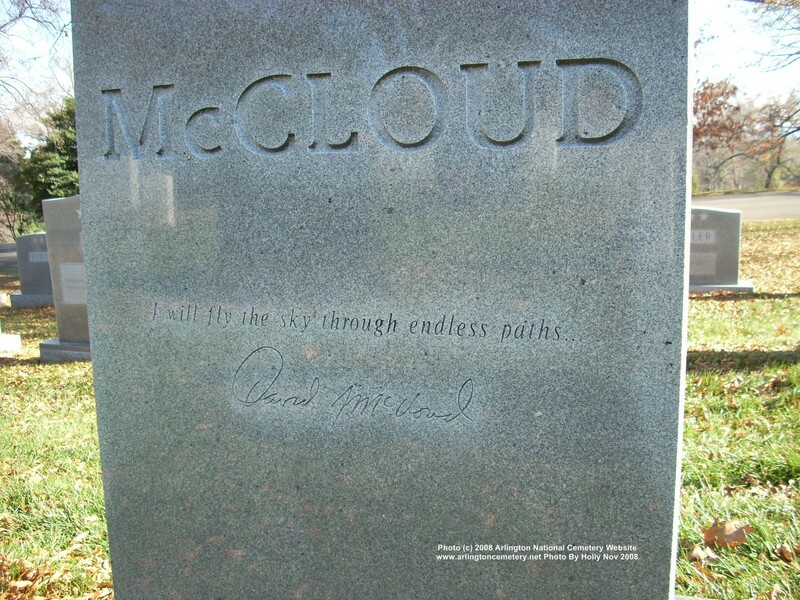 A 1969 graduate of officer training school at Lackland Air Force Base in Texas, McCloud was a pilot with 4,100 hours' of flight time, principally in fighter planes. He held a bachelor's degree in engineering from California State University at Northridge and a master's degree in management from Central Michigan University. He is survived by his wife, Anna. Accident occurred JUL-26-98 at ANCHORAGE, AK Aircraft: Yakovlev YAK-54, registration: N354AM Injuries: 2 Fatal. On July 26, 1998, about 1110 Alaska daylight time, a Russian built, unlimited class aerobatic Yakovlev Yak-54 airplane, N354AM, was destroyed after colliding with the ground on the Fort Richardson Army Base, about 14 miles north of Anchorage, Alaska. The airplane was being operated as a visual flight rules (VFR) local area personal flight under Title 14 CFR Part 91, when the accident occurred. The airplane was registered to Red Eagle Flying, Anchorage, and operated by the pilot. The airplane is operated in the United States under an experimental/exhibition airworthiness certificate. The certificated commercial pilot, and the sole passenger, who also held a commercial pilot certificate, received fatal injuries. Visual meteorological conditions prevailed. The flight originated at the Elmendorf Air Force Base, Anchorage, about 1030. The pilot, a U.S. Air Force Lt. General at Elmendorf AFB, and the pilot rated passenger, departed Elmendorf AFB, and joined a second airplane over restricted airspace R-2203 for the purpose of aerial photography of each airplane. The second airplane, a Sukhoi SU-29, N329SU, occupied by the pilot and a passenger, departed from Merrill Field, Anchorage. No airspace restrictions were in effect during the flight. The airspace encompasses military reservation land on the Fort Richardson Army Base. The pilots of both airplanes had previously met and briefed the photo flight, and then rendezvoused over R-2203. The two airplanes flew alongside each other while the passengers of each airplane took photographs. The pilot of the SU-29 reported that after the photography session was completed, he planned to return to Merrill Field. During a radio conversation, the pilot of the accident airplane stated he was going to demonstrate some aerobatic maneuvers to his passenger. The pilot of the SU-29 observed a hammerhead stall, followed by what appeared to be a 4-point roll. While he was turning his airplane, the pilot of the SU-29 momentarily lost sight of the Yak-54 airplane. From an estimated distance of about 3 miles, the pilot of the SU-29 reported he saw the accident airplane descending from an estimated altitude of 2,700 to 3,000 feet mean sea level. The accident airplane appeared to be in a right spin that continued for between 5 to 7 turns until the airplane collided with trees. 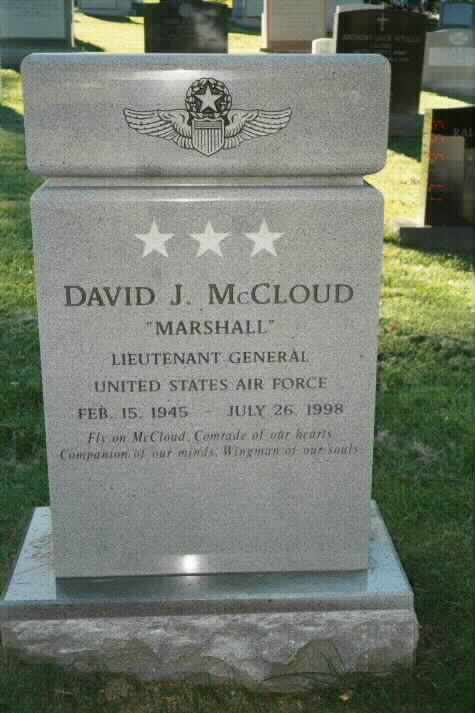 Died July 26, 1998, while on active duty. 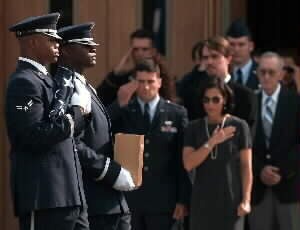 Buried in Section 7-A of Arlington National Cemetery on 5 August 1998. 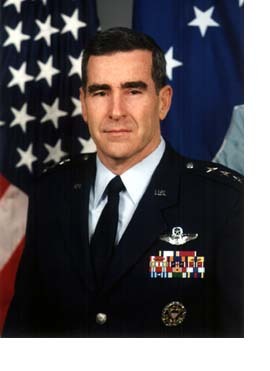 Lieutenant General David J. McCloud is commander of Alaskan Command, 11th Air Force, and the Alaskan North American Aerospace Defense Command Region, headquartered at Elmendorf Air Force Base, Alaska. As commander of Alaskan Command, one of four subunified commanders for the U.S. Pacific Command, he is the single military point of contact for more than 21,000 active-duty, guard and Reserve Alaskan military members. He has operational control of three component headquarters. These are U.S. Air Forces, Alaska, U.S. Army, Alaska, and U.S. Naval Forces, Alaska. He is tasked to conduct point training and to deploy a Joint Task Force when directed by the commander in chief of U.S. Pacific Command. He assists the Federal Emergency Management Agency and other government agencies to provide military assistance to civil authorities during state and federal emergencies. As commander of 11th Air Force, he is responsible for organizing, equipping and maintaining the combat readiness of two tactical fighter wings, two main operating bases, five contingency bases and 18 radar sites. As commander of Alaskan North American Aerospace Defense Command Region, he conducts, controls and coordinates air operations within Alaskan airspace to provide early warning and air defense against hostile attacks, with an augmented strength of more than 12,000 personnel and more than 140 aircraft. The general is a 1969 distinguished graduate of Officer Training School, Lackland Air Force Base, Texas. He is a command pilot with more than 4,100 flying hours, principally in fighter aircraft. General McCloud, a California native, is married to the former Anna Marie Baehr of Philadelphia. 1969 Bachelor of science degree in engineering, California State University, Northridge 1975 Master of arts degree in management and supervision, Central Michigan University, Mount Pleasant 1975 Squadron Officer School, Maxwell Air Force Base, Ala. 1975 Air Command and Staff College, Maxwell Air Force Base, Ala. 1985 Air War College, Maxwell Air Force Base, Ala. 1990 National War College, Fort Lesley J. McNair, Washington, D.C. 1991 Program for Senior Officials in National Security, Harvard University, John F. Kennedy School of Government, Cambridge, Mass. Defense Distinguished Service Medal, Distinguished Service Medal, Legion of Merit, Meritorious Service Medal with three oak leaf clusters, Air Medal, Air Force Commendation Medal with two oak leaf clusters, Joint Meritorious Unit Award with oak leaf cluster, Air Force Outstanding Unit Award with two oak leaf clusters. Second Lieutenant Mar 31, 1969; First Lieutenant Sep 30, 1970; Captain Mar 30, 1972; Major Sep 1, 1979; Lieutenant Colonel Dec 1, 1982; Colonel Apr 1, 1988; Brigadier General Jul 1, 1993; Major General Sep 1, 1995; Lieutenant General Sep 6, 1996.
at Fort Myer, Virginia, enroute to burial in Arlington National Cemetery.